So I know my posts are really random but hey, it is my style. 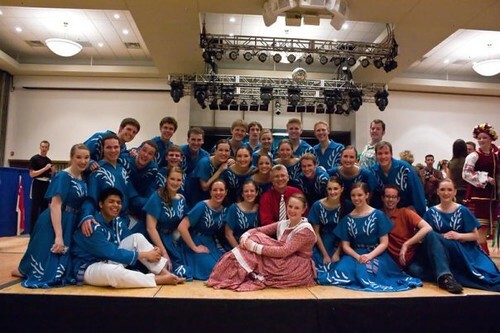 If you want to see my dance team at BYU dancing an Israeli Folk Dance watch the video below! My husband rocks. And he brought me flowers for this performance. Double rocks. BYU Folk dance was fun! Ah, the good old days! Anyone know dances from different countries around the world? That'd be Folk Dance! I used to do 'country dance' classes in primary school, the English version of square dancing. And ceilidh dancing, which I always described to people as what they are dancing in Titanic when they go below decks! And I've tried my hand at Greek folk dancing when I was in Greece, that was fun! I enjoyed watching the video. I like all your random dance posts!! So fun! You did a great job! you are so darling! loved the video. Aw! How fun! I wish id learned some cultural dance. My friend tried to teach me how to belly dance once. It didn't last long. Ahhhhhh! I love watching your dance videos. I took ballet for a couple of years when I was young... wish I would have stuck with it. Oh my so awesome!! Love these culture folk dancing groups! I am Greek and Greek Danced for 7 years. I really miss it. So fun! Wish ASU had something like that. That looks like so much fun, I wish I did something like that in college! awww you brought so many great memories! I did Israeli folk dance a couple of times. 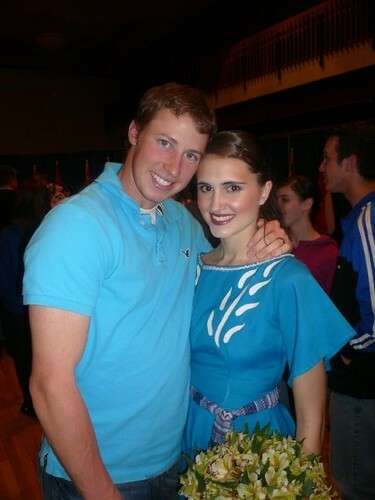 And I've also seeing the BYU folk dance group in the past, but it's been a while. I think the last performance I saw was back in 2008 or 2009...looks like you were part of it then! SHALOM! I love your dancing videos!